From Junior Consultants to Senior Managers, all Initio’s people are professionals devoted to provide best in class solutions and services to our clients. Beyond that, we are a team that knows how to welcome new colleagues and organize great corporate events! We work hard and have fun together. Our business line managers lead teams of consultants during client projects, provide specific guidance to team members and serve as subject matter advisors on specific advanced topics. The line managers’ main objectives are to build practical knowledge in order to provide quality service that creates value to both our clients and the company. Accompanying our wide range of clients while they rethink and shape tomorrow’s financial markets, structuring our own vision and strategy to keep our expertise at the very state of the art, and attracting the most promising, and motivated candidates – here are our priorities. Our daily tasks are much diversified and we have the chance to learn a lot and never get bored! Having obtained a Ms. Sc. in Engineering with a specialisation in Geophysics & Mining back in 1996, I was ready to start a career in remote areas searching for oil & gas as a geophysicist … who would have known I’ld spend the following 8 years in an American pharmaceutical company, Merck & Co. 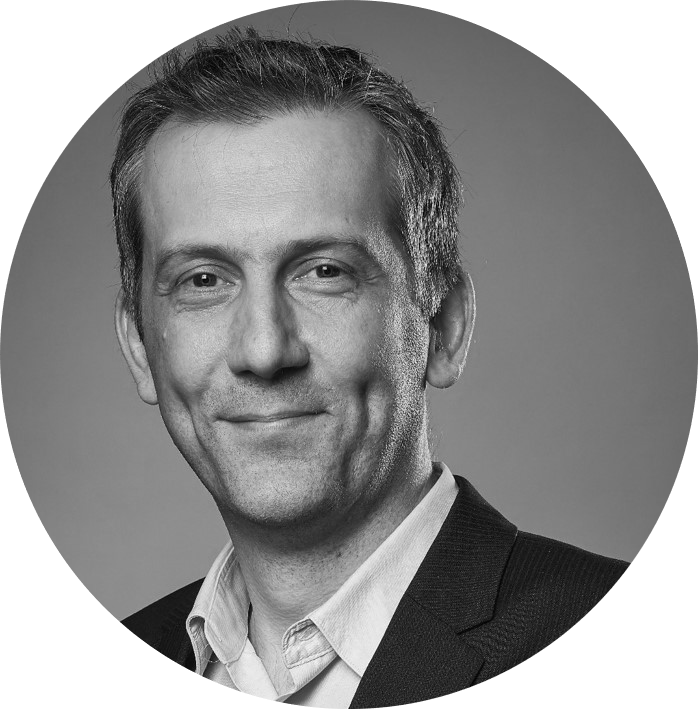 In 2005 I joined NetArchitects Europe, a subsidiary of Altran, European leader in high-technology consulting, where I was hired by … Jean-Marc Dame. Always looking to combine my intellectual curiosity with an eye for human interaction and a strong sense of entrepreneurship, Altran proved to be an excellent learning school: as a manager I successfully established client relationships in different industries – Banking, Utilities, Telecom, Retail & Pharma – and built out a department that generated over 4m € per year in turnover. During 2009-2011 I worked on several solution portfolios on a European level, including Information Management, IT Governance and Operational Excellence. In August 2011, I decided to join the Initio project and re-joined Jean-Marc Dame to lead Initio towards our objective of becoming a key European player in Business consulting for the Financial Industry. As business consulting is a people’s business above all, I’m convinced Initio is a winning team: all consultants have passed a rigorous recruitment process to make sure they fit well with Initio’s culture, and the management team has a wealth of experience acquired in other consulting firms. I invite you to read further on this website, and if you feel there is a fit with your ambition, give us a call and we”ll invite you with pleasurefor a meet & greet in one of our offices! Graduated from the Burgundy School of Business with a Master in Finance, and a MSc. in Entrepreneurial management from the EM Lyon Business School. I first worked as Bank agency director. This great first professional experience enabled me to develop strong skills in private banking and finance. I then joined Square Group, and more particularly VERTUO Conseil during 6 years, to participate to the entrepreneurial story and develop the office activities in bank, finance and insurance sectors. The strategic stakes such as recruitment, knowledge of clients issues, and consultants projection are so many responsibilities which are important for me. I am today delighted to join the dynamic, international and great Initio teams to participate in its development and allow the office to maintain his position as niche player in financial sector. Graduated from the ICHEC Business School with a Master in Finance. I first worked as Financial Auditor. This first professional experience enabled me to build some technical expertise in the understanding of the financial statements through the business processes and analysis. Controlling internal processes in order to ascertain the validity & reliability of financial information was a great first challenge for me. Moreover, my client’s portfolio was quite diversified: SME, Groups & Financial Holding - construction, real-estate, energy, retail, insurance clients which gave me a broad view of the financial accounts. I then had the opportunity to join an Advisory Firm as Project Consultant. Within this organization, I accomplished several missions in the FI sector and more specifically for insurance clients. Thanks to this experience I acquired business knowledge, structured methodological approach to work on daily jobs and several skills such as project management (cf. Prince 2 Certification) and process improvement. My main assignments included business analyst tasks, TOM project, Change Management and Stakeholders Management skills, etc. Over the past 6 years I expanded my skills within the project management area. I had the chance to work in several domains, from e-shopping for a leading cosmetic company to BPO for a private bank, covering both B to C and financial industry. As part of an internal and external project office I improved my communication and organizational skills, always keeping a client oriented focus. I joined Initio in 2014, mainly attracted by its human structure, ambitious development strategy and the challenges it offered. Since I wanted to grow into managerial and entrepreneurial functions I will now use my past experiences to participate to Initio’s commercial development. Graduated from EM Lyon Business Schoolin International Management, I then had the opportunity to start my career as a Sales Representative for a B2B leader. In 2011, I joined a Consulting firm in Paris as a Consultant, where I developed project and change management skills and an expertise within the ALM and insurance field. In 2014, after a six-month trip in Australia, my partner and I decided to launch a natural and organic skincare brand with the ambition to respond to a public health challenge in Africa. Having obtained a master in Business Engineering with specialization in finance at the Solvay Brussels School of Economics and Management, I immediately joined Initio. Its human-size, niche-expertise and international footprint create an ideal environment to thrive and have a decisive impact in the financial industry. Back at Solvay I was president of the Solvay Student Consulting Club where I discovered my strong interest for taking on responsibilities, adopting a client-centric approach and developing a team. Combined with my passion for finance, which I discovered at an early stage of life and strengthened through an Internship at Banque Degroof Petercam, I now want to help financial institutions, large and small, resolve their toughest challenges through expertise and teamwork. I obtained a master degree in Business Engineering at the Solvay Business School of Economics and Management. During my academic years, I was an active member of the consulting club of my university where I strengthened my analytical and communication skills. I have also done an internship at PwC Belgium and participated in two exchange programs abroad. Having always been attracted by the financial sector, I decided to immediately join Initio. Working in this growing company combines my managerial with my entrepreneurial spirit in a client-oriented and dynamic environment. I am now dedicated to helping financial institutions meet their greatest challenge by providing expertise and excellence through Initio. Having obtained a Master in Sociology with a specialization in Sociology of business organization back in 1997, I started my professional career as Business Analyst at Euroclear. After a year of working on straight-through processing projects, a forerunner of the digital transformation, I joined Mobistar in order to have the opportunity to work on new technologies and services based on this new stuff called The World Wide Web. For almost eight years I worked as Business Analyst on diversified projects like Digital Assets Management, e-Commerce, Process automation or Intranets. During those years, I gained experience in working in web-based process environments and on technologies blended with complex back-end systems. The result is a personal working method based on a pragmatic but holistic approach relying on Proof of Concept and strategic vision, constantly backed with my affinity to understand the ICT language and technologies. In August 2015, INITIO convinced me to join the team and bring my experience in Digital Transformation to the Financial sector. Within the team, my ambition is to succeed in building a coherent and effective Digital service offering which will make the difference from the competition's. Graduated as a Master Translator/Interpreter, I started my career in 1998 as a terminologist/communication specialist at Lernout & Hauspie, translation automation specialist, moving to the banking industry in 2007 where I developed expertise in various domains such as PMO, Process, Project & Program Management and Process Audit. This 10 year experience in the banking industry, allowed me to manage & set-up large business projects with detailed planning in a structured way whilst understanding both business needs & translating them in IT deliverables. As program & senior project manager I have managed several application migrations, process audits, transformation programs and digital projects for large financial institutions such as KBC Bank, KBC Securities, BNP Paribas Fortis, ING & ABN AMRO. In addition, I hold several relevant project management (PRINCE II Foundation & Practitioner, Agile Project Management, SCRUM Master) and process management (ITIL V3 Foundation and Lean Yellow & Green & Belt) certifications. Working as an Initio consultant in the financial industry allows me to further expand skills and expertise, participating in various challenging projects and following trends in banking closely, whilst making the translation of these trends to this service line and keeping an eye on updated training catalogue needs. With a law background, a master in New Technologies & Data Protection, and a professional experience of more than 17 years in project, support and supplier relationship management, I build a very versatile profile. It allows me to liaise as effectively with the business and the collection of their requirements, as the IT entities, in-house or outsourced, on how to best meet the business needs with technical, and sometime non-technical, solutions. Working in such different sectors, as a project manager for IT or regulatory initiatives, provided me with the opportunity to develop flexibility and learn how to tailor-made for each context waterfall and Agile methodologies - more often than not, by mixing them (best of both worlds). End of last year, looking for new challenges in the banking sector, always a favourite of mine, I joined Initio. Taking the lead of the newly reborn Retail & Private Banking business line seemed to be the next logical step to further investigate the domain current hot topics and future trends, as well as disseminate the business line collective knowledge, within Initio, for the ultimate benefit of its clients. After studies in Engineering in Applied Mathematics with a minor in Economy (UCL), I worked in the financial direction of AXA Belgium growing from Financial Controller to internal Project Manager and Strategic Planning Officer both for their Insurance as for their Banking business lines. In 2015, I joined Initio and worked so far mainly on digital transformation projects both for Banks as Insurance companies in Brussels and Antwerp. In 2018, I took over the challenge to further develop the Insurance Business Line in Belgium and Luxembourg. 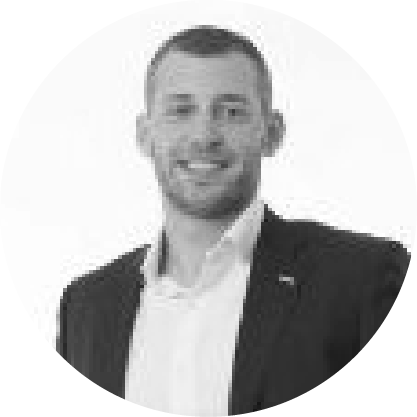 After 9 years of experience in Luxembourg financial sector, I joined Initio in 2016, where I had the opportunity to meet a new corporate culture and a positive work environment and to develop an in-depth knowledge of the different activities and a strong methodology. Being business line manager for Fund services, I had the possibility to structure the fund industry knowledge and to actively participate to Initio development. I started my career in banking industry in 2008, where I developed a transversal knowledge of the different activities: Fund Industry, forex, money market and securities deals, cash and securities flow, investor services and client relationship. I hold a master in Political Sciences, a master in International Business and a doctorate in International Relationship. Master's Degree in Engineering - Computer Science (Ecole des Mines de Nantes, France) Worked for 5 years as a consultant for Sungard in Paris, working for several clients in life insurance and asset management. I moved to Brussels in 2008 and joined ING, where I worked for 8 years in risk management and financial markets. LE GROUPE SQUARE GREAT PLACE TO WORK® 2017 ! Initio Luxembourg officially opened its new office! Want to join the team ? Get in touch ! We are always interested in meeting motivated and skilled people.